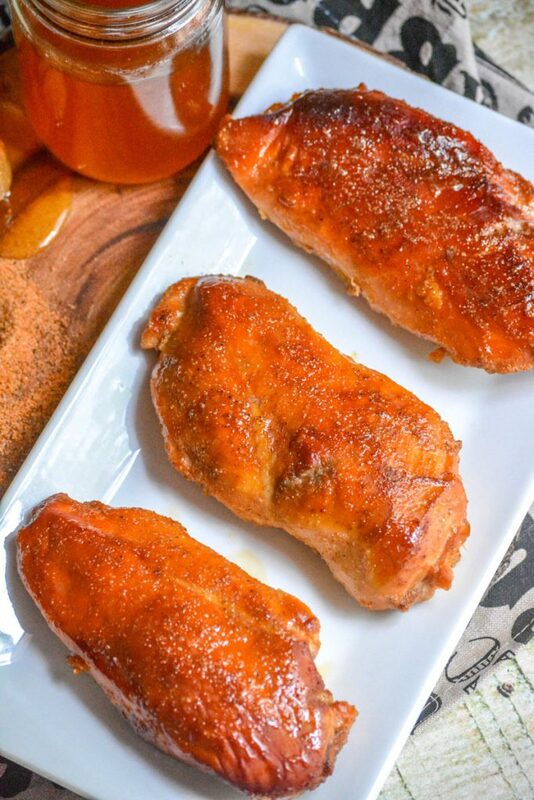 Smoked cajun honey chicken breasts turn plain chicken into an explosion of sweet, spicy, and smoky flavor. Honey basting locks moisture into the chicken, creating the best smoked chicken breast you could imagine. Chicken is a staple in our house. I often buy huge packages of chicken breasts at Costco because we eat it so often. As with anything you do too often, chicken can get a little boring. A little too chicken-y perhaps. 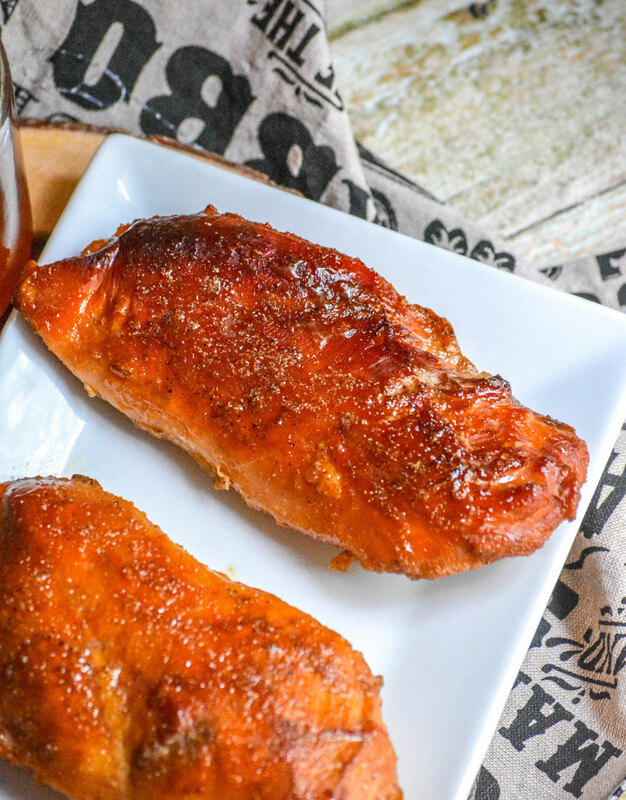 I promise you you will not think these smoked Cajun honey chicken breasts are boring. And they definitely won’t be too chicken-y. Nope these chicken breasts are loaded with flavor. Truly, they cover all the flavor profiles. They have a little heat from the Cajun seasoning and a delightful smoky flavor from the cooking process. And, unlike some other cooking processes like baking, smoking gives you even more opportunity to add extra flavor. If you use hickory, mesquite, or maple wood chips, you get an extra richness you wouldn’t otherwise have. The honey is actually the secret super star of this recipe. It doesn’t just balance out the spice of the Cajun seasoning. Oh no, it does much more than that. The honey keeps the chicken from drying out while you smoke it. Now let’s talk about the real superstar of this dish. The honey. 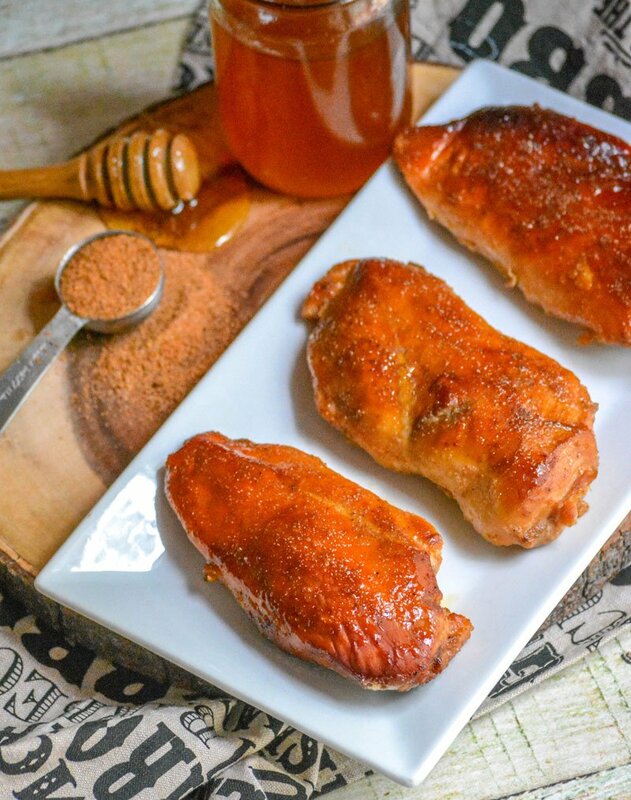 The honey sets it apart from other smoked chicken breasts recipes and not just because it adds a layer of sweetness that balances the heat from the Cajun seasoning. 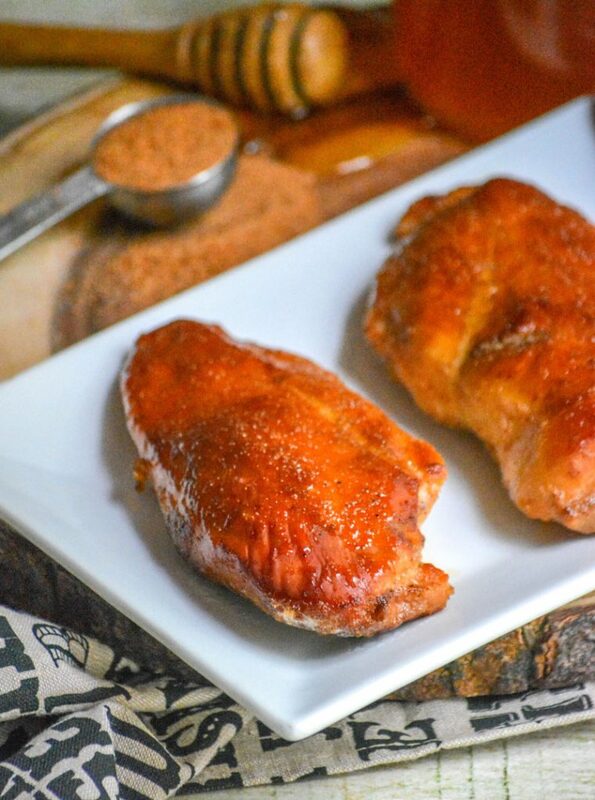 See this smoked Cajun honey chicken breast recipe is unlike other smoked chicken breast recipes because during the smoking process you baste the chicken with honey routinely throughout the cooking time. Basting it in honey locks the moisture into the chicken breasts so you won’t have to worry about your smoked chicken turning out tough and dry. Instead, it will be tender and juicy. And whatever you do, don’t skip the basting. Chicken, especially chicken breast because it is so low in fat, tends to dry out when you cook it for a long time over low heat like you do with smoking. 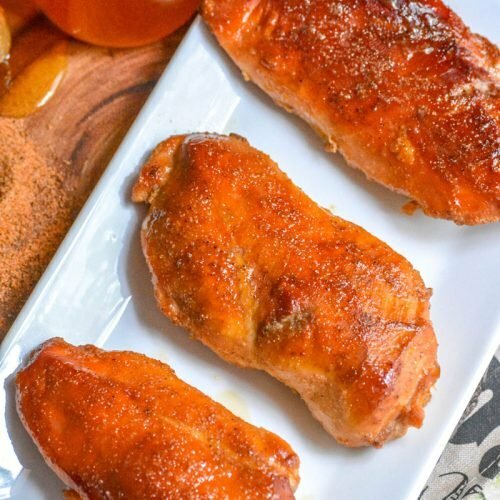 Plus, every time you brush the chicken with honey, it adds more flavor and sweetness to this dish. Another added bonus of the honey baste? 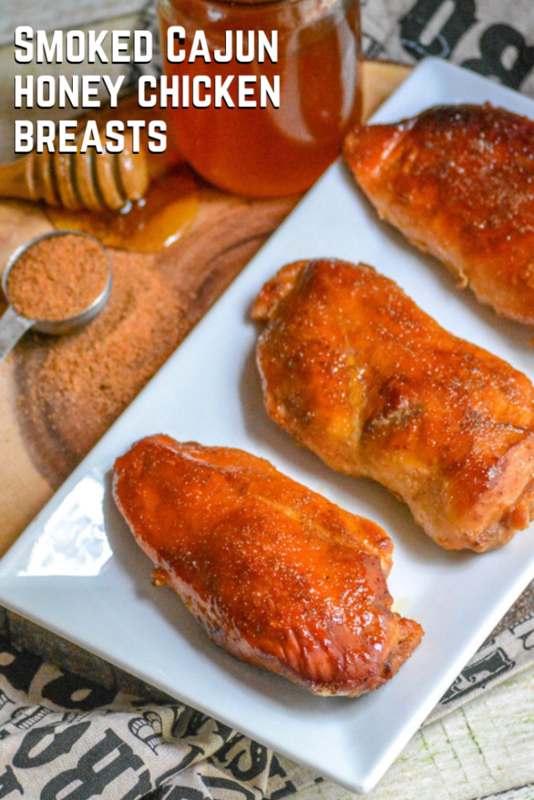 The honey kind of caramelizes as it cooks, deepening the flavor and giving it that finger licking gooey finish that I just can’t get enough of. 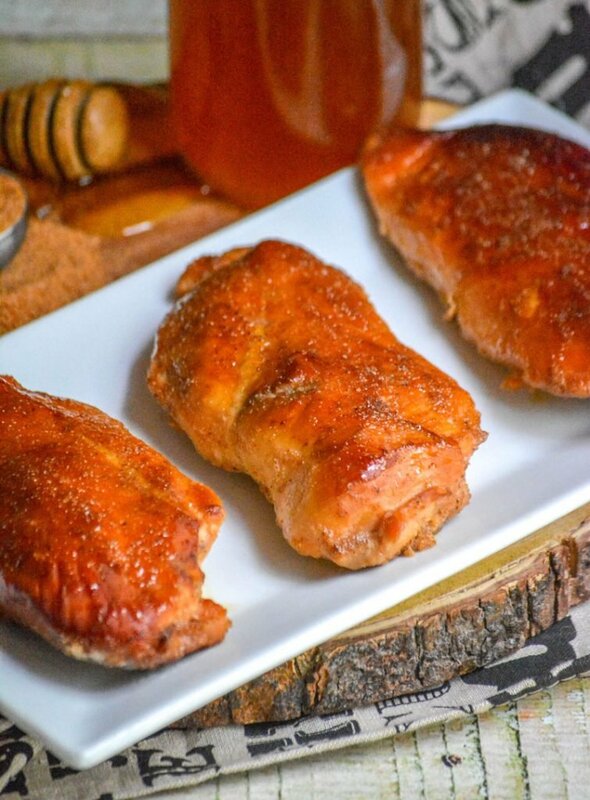 Your whole family will beg you to make extras of these smoked Cajun honey smoked chicken breasts so they can all help themselves to seconds… and thirds. Start up smoker and get it to a temperature of 250F. Hickory, mesquite, or maple wood chips all would work well. In a small bowl, mix together the cajun seasoning, salt, garlic powder, onion powder and black pepper. Rub the spice mixture all over the chicken breasts. 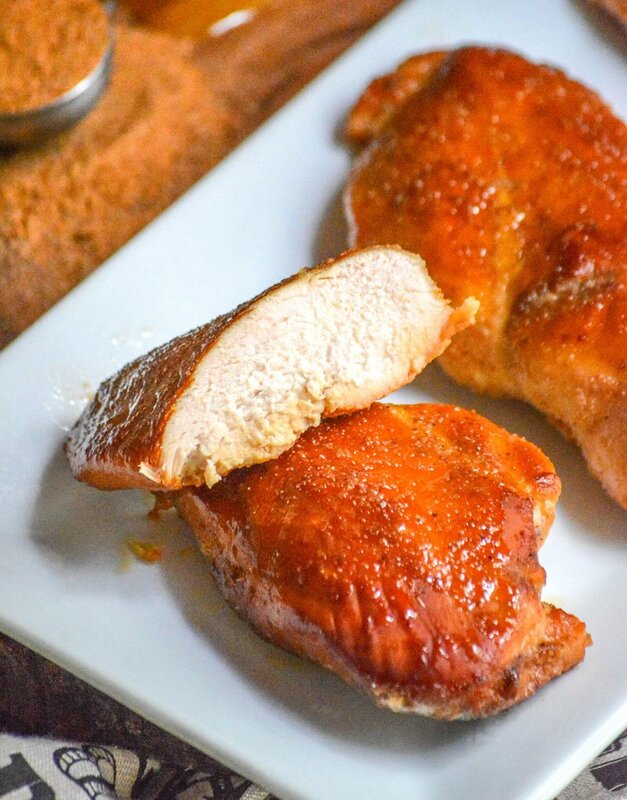 Place chicken breasts in the smoker. Brush with the honey every hour. Remove the chicken from the smoker when it reaches 165F, about 3 hours. Brush one last time with honey. You had me at cajun! I love anything cajun – like I would kill for it! Hahaha! I haven’t tried the combination of cajun and honey, but I am sure it tastes amazing! Thanks for sharing at Fiesta Friday party!